Religious Affairs Minister David Azoulay denied that he will resign his Knesset seat in order to pass the Supermarket Law, despite multiple reports to the contrary. Reports had surfaced on Thursday that Azoulay had resigned his Knesset seat but will stay as minister. As Azoulay has been hospitalized due to an undisclosed ailment, he has struggled to be present at the Knesset for crucial votes. 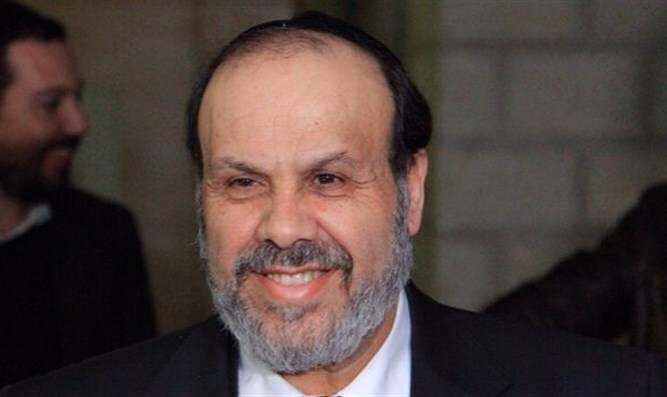 His absence caused the Supermarket Law vote to be delayed a week after opposition MKs refused to grant the coalition a pairing, an informal arrangement between government and opposition parties whereby a parliament member agrees or is designated to abstain from voting while a member of the opposing party needs to be absent. However, Azoulay dismissed the reports as inaccurate and stressed that he had no plans to resign. "There is no basis for a rumor about my expected resignation from the Knesset," he said. "I intend to attend and vote next week in the Knesset, and the media is expected to conduct a minimal inquiry before the publication of baseless reports." According to the reports, Azoulay was slated to be replaced by his son Yinon. As Yinon is number 16 on the Shas list, the preceding four members must voluntarily waive their right to enter the Knesset.